Every PCDS senior class shakes a hand, shares a hug, or sometimes sheds a tear with the entire faculty on Daley Bridge during the procession prior to graduation. Phoenix Country Day School was proud to name Stanley Casselman ’81 as the 2017 Outstanding Alumnus of the Year. Stanley, a graduate of Pitzer College who resides in New York City, is an acclaimed artist whose work has been featured in solo exhibitions from Vienna to Florida to California, and in group exhibitions throughout the United States, Canada, Asia, and Europe. Stanley’s work has been favorably reviewed by The New York Times, Forbes, The Wall Street Journal, and New York magazine, among other publications. Stanley’s unique method includes squeegees and sharp metallic blades, which he uses to spread vivid paint colors vertically and horizontally at varying strengths. 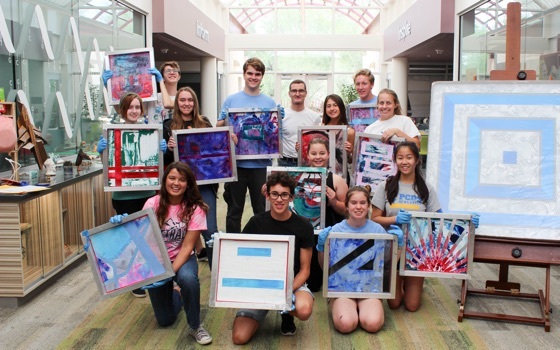 The PCDS art faculty selected 12 Upper School students to participate in a day-long “Master Class” this past April in which Stanley taught them his innovative technique. In tandem with challenging academics and a strong athletics program, Phoenix Country Day School values the intellectual and creative growth that can be found within its robust arts programs. The arts at PCDS allows students to explore their creative sides and to grow in their own methods of self expression. We are proud that Stanley’s interest in art began within a Phoenix Country Day School ceramics class taught by Mr. Jim Cook, and we were delighted to honor him for his contributions to the art world and for his support of our students. 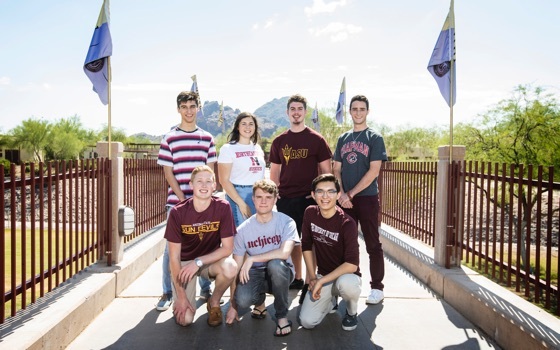 These members of the PCDS Class of 2017 attended Phoenix Country Day School from pre-k through their senior year. 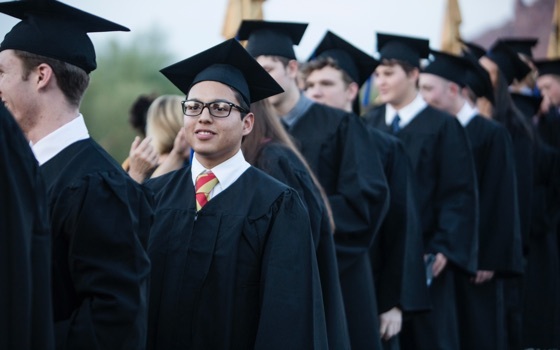 Phoenix Country Day School graduates are uniquely prepared to make an impact on college campuses far and wide.